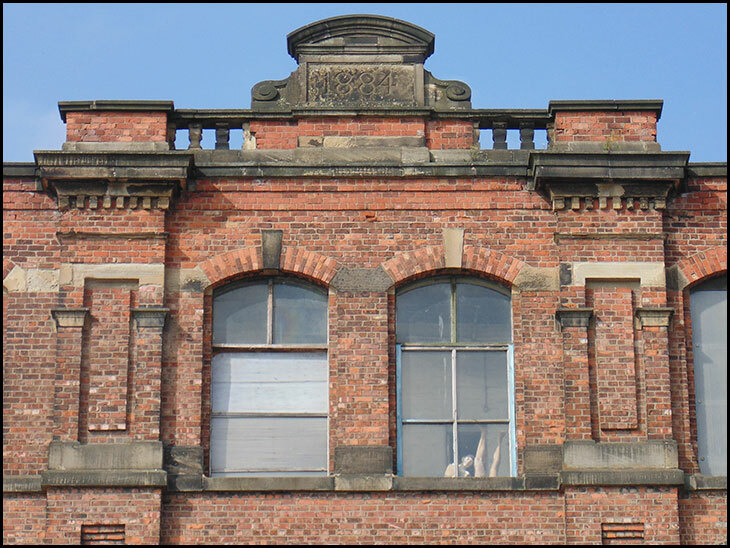 1884 date stone on Eckersley Mill, Wigan. The window to the right looks interesting! Whos that doing a handstand, and whys he watching..
Brian inspires us to look up. What's going on in the window? Someone's sure to comment on the legs. ...and, a pair of upside down legs...?????????? Anybody lost a couple of tailors dummys recently? This has really made me laugh.How long has it been there? someone has got a great senes of humour !! !